Don’t you just love a light, tasty sandwich in Summer? 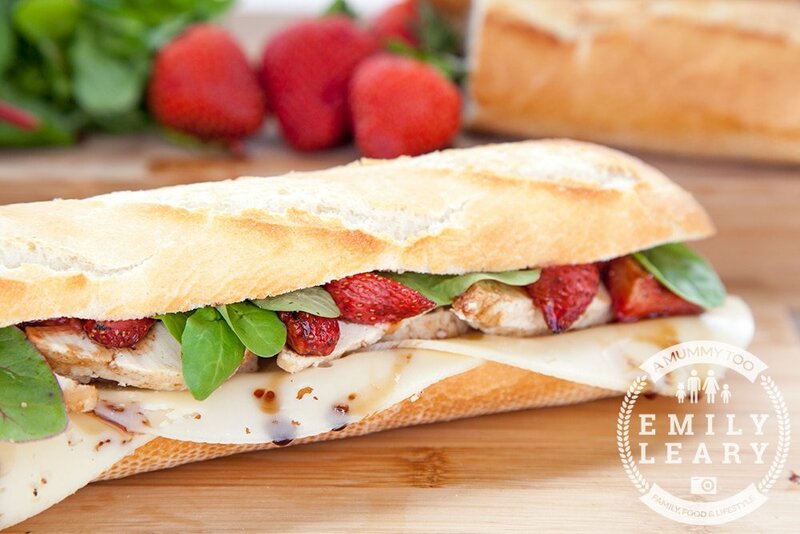 This strawberry, chicken and swiss cheese baguette is perfect for Summer picnics or as a light lunch. 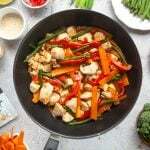 The creamy swiss cheese, flavourful chicken (or veggie chicken pieces!) and sweet, sharp balsamic strawberries come together in a taste explosion that’s utterly delicious. 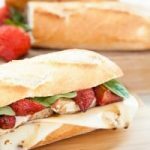 What’s great about these balsamic roasted strawberry, chicken and swiss cheese baguettes is how easy they are to prepare. There’s minimal cooking involved to create these delicious, flavoursome sandwiches. A handful of roast chicken pieces or Quorn pieces! Preheat the oven to 200C/392F (180C fan). Hull the strawberries, then cut into quarters (or halves if small) and place on a baking tray. Season well with salt and pepper, then drizzle with a good slug of balsamic glaze. Mix with your hands, then place in the oven for about 10 minutes until the glaze bubbles. Set aside to cool. Slice the baguette lengthways and top with the slices of cheese, followed by the chicken or Quorn, then the strawberries, then the basil or lettuce. 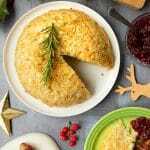 Serve whole for a hearty treat, or slice into quarters to share. 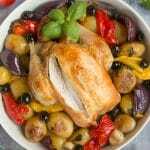 Do you want to save this recipe for later? 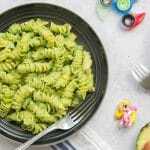 Click PRINT below to add this recipe to your at-home collection! Swiss cheese, flavourful roasted chicken or Quorn and sweet, sharp balsamic strawberries come together in a taste explosion that's utterly delicious. Slice the baguette lengthways and top with the slices of cheese, followed by the Quorn, then the strawberries, then the basil or lettuce. 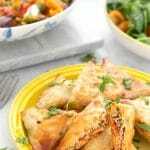 What are some of your favourite Summer light lunches? 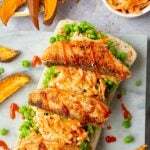 Looking for more sandwich inspiration? 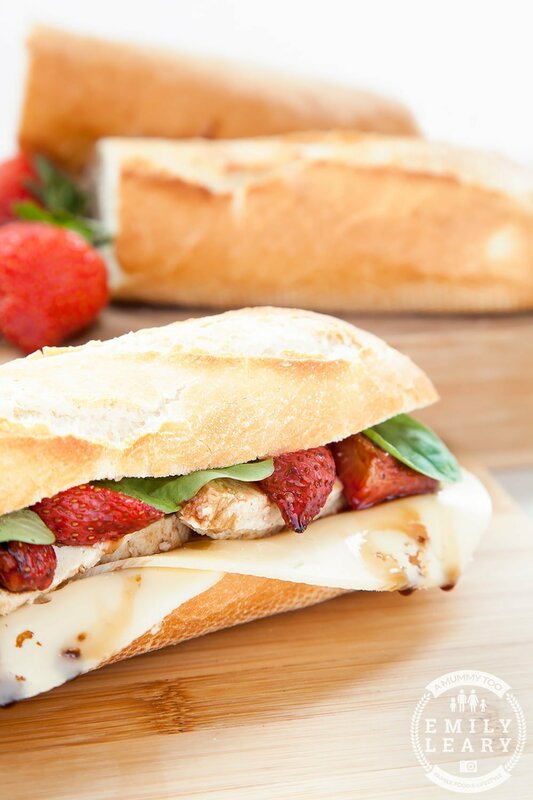 Visit my sandwiches and burgers section to discover more delicious recipes like this strawberry, chicken and swiss cheese baguette. Thank you – it really was!